You are here: Home / games / What Do You for Fun With Kids When the Power Goes Out? What Do You for Fun With Kids When the Power Goes Out? 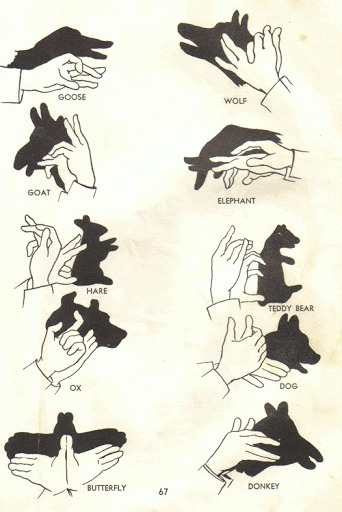 Show kids how to make shadow puppets using flashlights. Read a book by candle light or kerosene lantern. Sing songs – little kids love this activity. Come up with funny songs you sang as a kid and teach them to the children. Let the kids teach you some of the songs they sing in school. Play card games. If you’re alone – play solitaire. There are lots of card games you can play. This is a good time to learn a new game or teach someone a card game they’ve been wanting to learn. Work on a jigsaw puzzle. This can be done alone or with others, and can be extra challenging in the darkened conditions. Play charades by candlelight (flashlights are safer around kids). It will add a whole new dimension to the game when you have to stay in a tiny circle of light. Build a tent in the house by putting blankets over tables and furniture. Use flashlights and pretend you’re camping. Some of my former bosses pulled out their campfire cooking utensils and light a fire in the fireplace (this was actually during a blizzard time power outage) and made a few meals with them that way. As a teen I worked at an overnight camp in the woods and to help kids feel more comfortable in the dark we did a "sensory" game that I love playing with my charges. Gather a bunch of ingredients that have distictive smells. Either blindfold the kids or put the ingredients in a canister that they can't see what's in it. Let them smell the foods and guess what they are. I like using cinnamon, mustard, pine cleaner, pepper, orange, oregano, and so on.